The Reserve Bank of Australia has lowered the cash rate to 1.5% in an effort to stimulate growth, boost inflation and encourage a fall in the Australian dollar. In his statement, Glenn Stevens also addressed the concerns around Australia’s property market. He noted Australia’s banks have been cautious in lending to certain sectors like the property market and despite the possibility of a considerable supply of apartments emerging over the next few years, lending for housing has slowed this year. It seems the RBA has ‘unlearned’ the lessons of 2008. 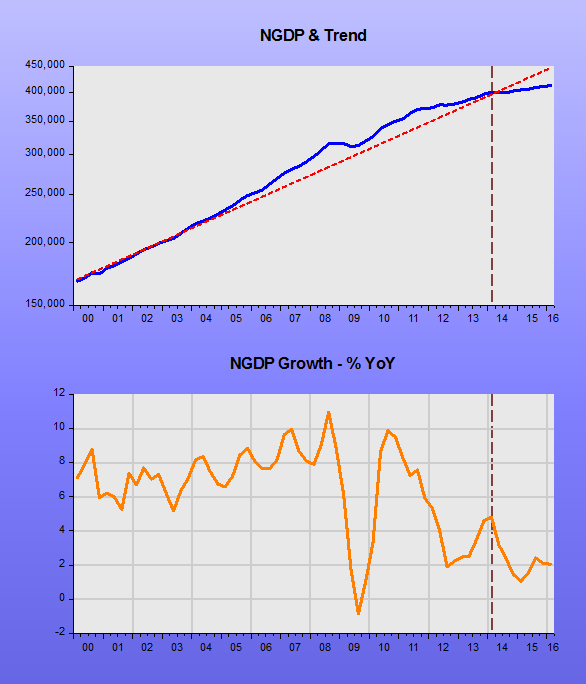 Then it did not suffer a recession because, contrary to what most major central banks, it did not allow NGDP to tank. What supported domestic demand was an adequate monetary policy that kept spending growing close to a stable trend path. Maybe because of worries about house prices, monetary policy has been overly tight for the past two years, despite the drop in the policy interest rate. In determining monetary policy, the Bank has a duty to maintain price stability, full employment, and the economic prosperity and welfare of the Australian people. To achieve these statutory objectives, the Bank has an ‘inflation target’ and seeks to keep consumer price inflation in the economy to 2–3 per cent, on average, over the medium term. 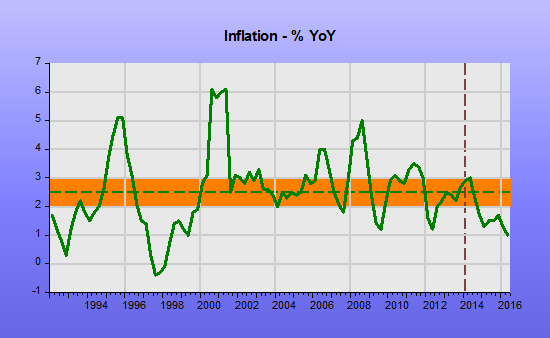 The chart shows that since 1992, when the target was set, inflation has averaged 2.5%. 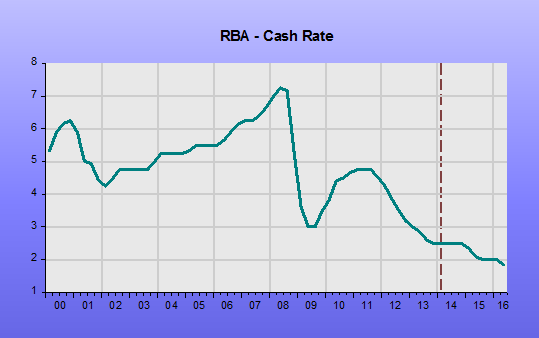 The RBA couldn´t have done better! Soon we´ll hear Steven Williamson say “Told you so; interest rates are falling and so is inflation. If rates continue to fall and remain low, you´ll get deflation”! If only the RBA had continued to pay attention to NGDP! 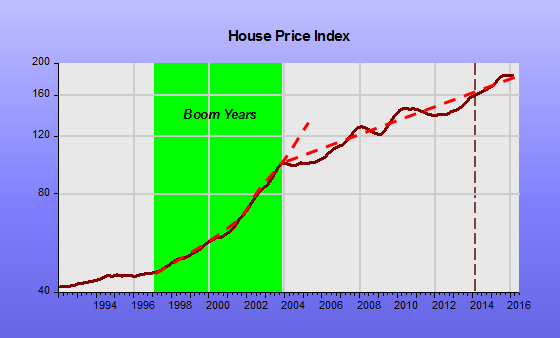 The chart shows that the house price boom ended, without tears, more than 10 years ago. This entry was tagged House Prices, Inflation, NGDP Growth. Bookmark the permalink. how bad will things have to get before some central bank, somewhere, breaks away from this “interest rate policy is monetary policy” consensus. china?